Takeda Pharmaceutical Company Limited,Intra-Cellular Therapies, Inc.
ITI-214 is an orally active, potent and Selective Inhibitors of Phosphodiesterase 1 for the Treatment of Cognitive Impairment Associated with Neurodegenerative and Neuropsychiatric Diseases. 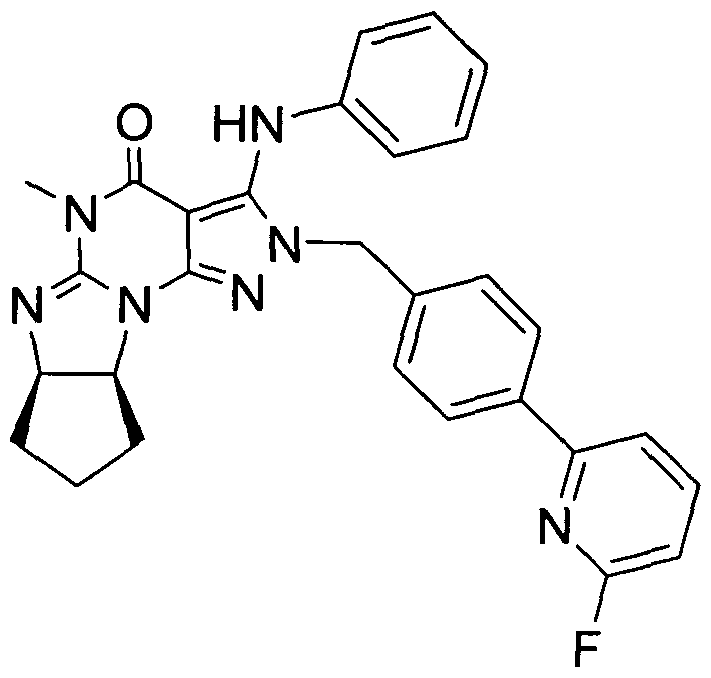 ITI-214 exhibited picomolar inhibitory potency for PDE1, demonstrated excellent selectivity against all other PDE families, and showed good efficacy in vivo. Currently, this investigational new drug is in Phase I clinical development and being considered for the treatment of several indications including cognitive deficits associated with schizophrenia and Alzheimer’s disease, movement disorders, attention deficit and hyperactivity disorders, and other CNS and non-CNS disorders. which is a picomolar PDE1 inhibitor with excellent selectivity against other PDE family members and against a panel of enzymes, receptors, transporters, and ion channels. It is disclosed in WO 2009/075784 (U.S. Pub. No. 2010/0273754). 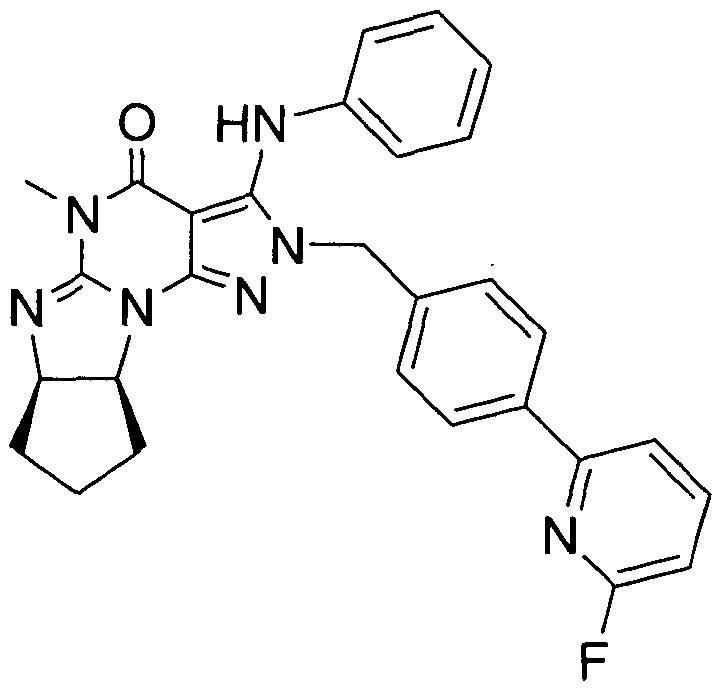 This compound has been found to be a potent and selective phosphodiesterase 1 (PDE 1) inhibitor useful for the treatment or prophylaxis of disorders characterized by low levels of cAMP and/or cGMP in cells expressing PDE1, and/or reduced dopamine Dl receptor signaling activity (e.g., Parkinson’s disease, Tourette’s Syndrome, Autism, fragile X syndrome, ADHD, restless leg syndrome, depression, cognitive impairment of schizophrenia, narcolepsy); and/or any disease or condition that may be ameliorated by the enhancement of progesterone signaling. This list of disorders is exemplary and not intended to be exhaustive. In particular, (6aR,9aS)-3-chloro-2-(4-(6-fluoropyridin-2-yl)benzyl)-5-methyl- 5,6a,7,8,9,9a-hexahydrocyclopenta[4,5]imidazo[l,2-a]pyrazolo[4,3-e]pyrimidin-4(2H)- one may be prepared as described or similarly described below. This compound may be made using similar method as in example 13 wherein 2-(4-(bromomethyl)phenyl)-6-fluoropyridine may be used instead of 2-(4- (dibromomethyl)phenyl)-5-fluoropyridine. In particular, (6aR,9aS)-3-chloro-2-(4-(6-fluoropyridin-2-yl)benzyl)-5-methyl-5,6a,7,8,9,9a-hexahydrocyclopenta[4,5]imidazo[l,2-a]pyrazolo[4,3-e]pyrimidin-4(2H)-one (Int-5) may be prepared as described or similarly described below. The free base crystals and the mono-phosphate salt crystals of the invention may be prepared by using the methods described or similarly described in Examples 1-14 below. The mixture of Na2C03 (121 g), water (500 mL), THF (650 mL), PdCl2(PPh3)2 (997 mg), 2-bromo-6-fluoropyridine (100 g) and 4-(hydroxymethyl)phenylboronic acid (90.7 g) is stirred at 65°C for 4 h under the nitrogen atmosphere. After cooling to room temperature, THF (200 mL) is added. The organic layer is separated and washed with 5% NaCl solution twice. The organic layer is concentrated to 400 mL. After the addition of toluene (100 mL), heptane (500 mL) is added at 55°C. The mixture is cooled to room temperature. The crystals are isolated by filtration, washed with the mixture of toluene (100 mL) and heptane (100 mL) and dried to give (4-(6-fluoropyridin-2-yl)phenyl)methanol (103 g). ]H NMR (500 MHz, CDC13) δ 1.71-1.78 (m, 1H), 4.74-4.79 (m, 2H), 6.84-6.88 (m, 1H), 7.44-7.50 (m, 2H), 7.61-7.65 (m, 1H), 7.80-7.88 (m, 1H), 7.98-8.04 (m, 2H). The solution of thionylchloride (43.1 mL) in AcOEt (200 mL) is added to the mixture of (4-(6-fluoropyridin-2-yl)phenyl)methanol (100 g), DMF (10 mL) and AcOEt (600 mL) at room temperature. The mixture is stirred at room temperature for 1 h. After cooling to 10°C, 15% Na2C03 solution is added. The organic layer is separated and washed with water (500 mL) and 5% NaCl solution (500 mL) twice. The organic layer is concentrated to 500 mL. After the addition of EtOH (500 mL), the mixture is concentrated to 500 mL. After addition of EtOH (500 mL), the mixture is concentrated to 500 mL. After the addition of EtOH (500 mL), the mixture is concentrated to 500 mL. After addition of EtOH (200 mL), water (700 mL) is added at 40°C. The mixture is stirred at room temperature. The crystals are isolated by filtration and dried to give 2-(4-(chloromethyl)phenyl)-6-fluoropyridine (89.5 g). ]H NMR (500 MHz, CDC13) δ 4.64 (s, 2H), 6.86-6.90 (m, 1H), 7.47-7.52 (m, 2H), 7.60-7.65 (m, 1H), 7.82-7.88 (m, 1H), 7.98-8.03 (m, 2H). The mixture of 6-chloro-3-methyluracil (100 g), p-methoxybenzylchloride (107 g), K2CO3 (86.1 g) and DMAc (600 mL) is stirred at 75°C for 4 h. Water (400 mL) is added at 45°C and the mixture is cooled to room temperature. Water (800 mL) is added and the mixture is stirred at room temperature. The crystals are isolated by filtration, washed with the mixture of DMAc and water (1:2, 200mL) and dried to give 6-chloro-l-(4-methoxybenzyl)-3-methylpyrimidine-2,4(lH,3H)-dione (167 g). ]H NMR (500 MHz, CDC13) δ 3.35 (s, 3H), 3.80 (s, 3H), 5.21 (s, 2H), 5.93 (s, 1H), 6.85-6.89 (m, 2H), 7.26-7.32 (m, 2H). The mixture of 6-chloro-l-(4-methoxybenzyl)-3-methylpyrimidine-2,4(lH,3H)-dione (165 g), IPA (990 mL), water (124 mL) and hydrazine hydrate (62.9 mL) is stirred at room temperature for 1 h. The mixture is warmed to 60°C and stirred at the same temperature for 4 h. Isopropyl acetate (1485 mL) is added at 45°C and the mixture is stirred at the same temperature for 0.5 h. The mixture is cooled at 10°C and stirred for lh. The crystals are isolated by filtration, washed with the mixture of IPA and isopropyl acetate (1:2, 330 mL) and dried to give 6-hydrazinyl-l-(4-methoxybenzyl)-3-methylpyrimidine-2,4(lH,3H)-dione (153 g). ]H NMR (500 MHz, DMSO-i¾) δ 3.12 (s, 3H), 3.71 (s, 3H), 4.36 (s, 2H), 5.01 (s, 2H), 5.14 (s, 1H), 6.87-6.89 (m, 2H), 7.12-7.17 (m, 2H), 8.04 (s, 1H). 2H-pyrazolo[3,4-d]pyrimidine-4,6(5H,7H)-dione (145 g). ]H NMR (500 MHz, DMSO-i¾) δ 3.23 (s, 3H), 3.71 (s, 3H), 5.05 (s, 2H), 6.82-6.90 (m, 2H), 7.28-7.36 (m, 2H), 8.48 (s, IH), 13.51 (br, IH). The mixture of 2-(4-(chloromethyl)phenyl)-6-fluoropyridine (100 g), 7-(4-methoxybenzyl)-5-methyl-2H-pyrazolo[3,4-d]pyrimidine-4,6(5H,7H)-dione (129 g), K2CO3(62.3 g) and DMAc (1500 mL) is stirred at 45°C for 5 h. Water (1500 mL) is added at 40°C and the mixture is stirred at room temperature for 1 h. The crystals are isolated by filtration, washed with the mixture of DMAc and water (1:1, 500 mL) and dried to give 2-(4-(6-fluoropyridin-2-yl)benzyl)-7-(4-methoxybenzyl)-5-methyl-2H-pyrazolo[3,4-d]pyrimidine-4,6(5H,7H)-dione (207 g). ]H NMR (500 MHz, DMSO- ) δ 3.21 (s, 3H), 3.66 (s, 3H), 4.98 (s, 2H), 5.45 (s, 2H), 6.77-6.82 (m, 2H), 7.13-7.16 (m, IH), 7.25-7.30 (m, 2H), 7.41-7.44 (m, 2H), 7.92-7.96 (m, IH), 8.04-8.11 (m, 3H), 8.68 (s, IH). CF3SO3H (100 g) is stirred at room temperature for 10 h. Acetonitrile (1000 mL) is added. The mixture is added to the mixture of 25% N¾ (1000 mL) and acetonitrile (500 mL) at 10°C. The mixture is stirred at room temperature for 1 h. The crystals are isolated by filtration, washed with the mixture of acetonitirile and water (1:1, 500 mL) and dried to give the crude product. The mixture of the crude product and AcOEt (1200 mL) is stirred at room temperature for 1 h. The crystals are isolated by filtration, washed with AcOEt (250 mL) and dried to give 2-(4-(6-fluoropyridin-2-yl)benzyl)-5-methyl-2H-pyrazolo[3,4-d]pyrimidine-4,6(5H,7H)-dione (75.3 g). ]H NMR (500 MHz, DMSO-rf6) δ 3.16 (s, 3H), 3.50-4.00 (br, 1H), 5.40 (s, 2H), 7.13-7.16 (m, 1H), 7.41-7.44 (m, 2H), 7.91-7.94 (m, 1H), 8.04-8.10 (m, 3H), 8.60 (s, 1H). hydroxycyclopentyl)amino)-5-methyl-2H-pyrazolo[3,4-d]pyrimidin-4(5H)-one (81.7 g). ]H NMR (500 MHz, CDC13) δ 1.47-1.59 (m, 1H), 1.68-1.93 (m, 3H), 2.02-2.12 (m, 1H), 2.24-2.34 (m, 1H), 3.42 (s, 3H), 3.98-4.12 (m, 2H), 4.68-4.70 (m, 1H), 5.37 (s, 2H), 6.86-6.90 (m, 1H), 7.36-7.42 (m, 2H), 7.58-7.63 (m, 1H), 7.81-7.88 (m, 1H), 7.89 (s, 1H), 7.97-8.01 (m, 2H). The mixture of 2-(4-(6-fluoropyridin-2-yl)benzyl)-6-(((lR,2R)-2-hydroxycyclopentyl)amino)-5-methyl-2H-pyrazolo[3,4-d]pyrimidin-4(5H)-one (80 g), p-toluenesulfonylchloride (38.6 g), Et3N (28.2 mL), N,N-dimethylaminopyridine (24.7 g) and THF (800 mL) is stirred at 50°C for 10 h. To the mixture is added 8M NaOH (11.5 mL) at room temperature and the mixture is stirred for 2 h. After the addition of 5% NaCl (400 mL) and AcOEt (800 mL), the organic layer is separated. The organic layer is washed with 5 NaCl (400 mL) twice. The organic layer is concentrated to 240 mL. After the addition of MeOH (800 mL), the mixture is concentrated to 240 mL. After the addition of MeOH (800 mL), the mixture is concentrated to 240 mL. After the addition of MeOH (160 mL), the mixture is stirred at room temperature for 1 h and at 0°C for 1 h. The crystals are isolated by filtration, washed with cold MeOH (160 mL) and dried to give (6aR,9aS)-2-(4-(6-fluoropyridin-2-yl)benzyl)-5-methyl-5,6a,7,8,9,9a-hexahydrocyclopenta[4,5]imidazo[l,2-a]pyrazolo[4,3-e]pyrimidin-4(2H)-one (55.7 g). ]H NMR (500 MHz, CDC13) δ 1.39-1.54 (m, 1H), 1.58-1.81 (m, 3H), 1.81-1.92 (m, 1H), 2.12-2.22 (m, 1H), 3.28 (s, 3H), 4.61-4.70 (m, 2H), 5.20 (s, 2H), 6.79-6.85 (m, 1H), 7.25-7.32 (m, 2H), 7.53-7.58 (m, 1H), 7.68 (s, 1H), 7.75-7.83 (m, 1H), 7.92-7.98 (m, 2H). The mixture of (6aR,9aS)-2-(4-(6-fluoropyridin-2-yl)benzyl)-5-methyl-5,6a,7,8,9,9a-hexahydrocyclopenta[4,5]imidazo[l,2-a]pyrazolo[4,3-e]pyrimidin-4(2H)-one (50 g) and toluene (1000 mL) is concentrated to 750 mL under the nitrogen atmosphere. Toluene (250 mL) and NCS (24 g) is added. To the mixture is added LiHMDS (1M THF solution, 204 mL) at 0°C and the mixture is stirred for 0.5 h. To the mixture is added 20% NH4C1 (50 mL) at 5°C. The mixture is concentrated to 250 mL. After the addition of EtOH (250 mL), the mixture is concentrated to 150 mL. After the addition of EtOH (250 mL), the mixture is concentrated to 200 mL. After the addition of EtOH (200 mL), the mixture is warmed to 50°C. Water (300 mL) is added and the mixture is stirred at 50°C for 0.5 h. After stirring at room temperature for 1 h, the crystals are isolated by filtration, washed with the mixture of EtOH and water (1:1, 150 mL) and dried to give (6aR,9aS)-3-chloro-2-(4-(6-fluoropyridin-2-yl)benzyl)-5-methyl-5,6a,7,8,9,9a-hexahydrocyclopenta[4,5]imidazo[l,2-a]pyrazolo[4,3-e]pyrimidin-4(2H)-one (51.1 g). ]H NMR (500 MHz, CDC13) δ 1.46-1.61 (m, 1H), 1.67-1.90 (m, 3H), 1.92-2.00 (m, 1H), 2.19-2.27 (m, 1H), 3.37 (s, 3H), 4.66-4.77 (m, 2H), 5.34 (s, 2H), 6.87-6.93 (m, 1H), 7.35-7.41 (m, 2H), 7.59-7.65 (m, 1H), 7.82-7.91 (m, 1H), 7.97-8.05 (m, 2H). The mixture of (6a/?,9a5′)-3-chloro-2-(4-(6-fluoropyridin-2-yl)benzyl)-5-methyl-5,6a,7,8,9,9a-hexahydrocyclopenta[4,5]imidazo[l,2-fl]pyrazolo[4,3-e]pyrimidin-4(2H)-one (2.5 g), K2C03 (1.53 g), Pd(OAc)2 (12.5 mg), Xantphos (32 mg), aniline (0.76 mL), and xylene (12.5 mL) is stirred at 125°C for 7 h under nitrogen atmosphere. After addition of water (12.5 mL), the organic layer is separated. The organic layer is washed with water (12.5 mL) twice. The organic layer is extracted with the mixture of DMAc (6.25 mL) and 0.5N HCl (12.5 mL). The organic layer is extracted with the mixture of DMAc (3.2 mL) and 0.5N HCl (6.25 mL). After addition of DMAc (6.25 mL), xylene (12.5 mL) and 25 wt % aqueous NH3 solution to the combined aqueous layer, the organic layer is separated. The aqueous layer is extracted with xylene (6.25 mL). The combined organic layer is washed with water (12.5 mL), 2.5 wt % aqueous 1 ,2-cyclohexanediamine solution (12.5 mL) twice and water (12.5 mL) successively. After treatment with active charcoal, the organic layer is concentrated. After addition of EtOH (12.5 mL), the mixture is concentrated. After addition of EtOH (12.5 mL), the mixture is concentrated. After addition of EtOH (12.5 mL), n-heptane (25 mL) is added at 70°C. The mixture is cooled to 5°C and stirred at same temperature. The crystals are isolated by filtration and dried to give (ea^^a^-S^a ^^^a-hexahydro-5-methyl-3-(phenylamino)-2-((4-(6-fluoropyridin-2-yl)phenyl)methyl)-cyclopent[4,5]imidazo[l,2-fl]pyrazolo[4,3-e]pyrimidin-4(2H)-one free base mono-ethanol solvate (2.56 g) as crystals. ]H NMR (500 MHz, DMSO-d6) δ 0.98-1.13 (m, 3H), 1.34-1.52 (m, 1H), 1.54-1.83 (m, 4H), 2.03-2.17 (m, 1H), 3.11 (s, 3H), 3.39-3.54 (m, 2H), 4.29-4.43 (m, 1H), 4.51-4.60 (m, 1H), 4.60-4.70 (m, 1H), 5.15-5.35 (m, 2H), 6.71-6.88 (m, 3H), 7.05-7.29 (m, 5H), 7.81-7.93 (m, 1H), 7.94-8.11 (m, 3H), 8.67 (s, 1H). Crystals of (6a«,9a5′)-5,6a,7,8,9,9a-hexahydro-5-methyl-3-(phenylamino)-2-((4-(6-fluoropyridin-2-yl)phenyl)methyl)-cyclopent[4,5]imidazo[l,2-fl]pyrazolo[4,3-e]pyrimidin-4(2H)-one free base mono-n-propanol solvate (2.0 g) is dissolved with ethanol (10 mL) at 70°C. Isopropyl ether (20 mL) is added and the mixture is cooled to 45°C. Isopropyl ether (10 mL) is added and the mixture is stirred at 40°C. The mixture is cooled to 5°C and stirred at same temperature. The crystals are isolated by filtration and dried to give (ea/^^a^)-5,6a,7,8,9,9a-hexahydro-5-methyl-3-(phenylamino)-2-((4-(6-fluoropyridin-2-yl)phenyl)methyl)-cyclopent[4,5]imidazo[l,2-fl]pyrazolo[4,3-e]pyrimidin-4(2H)-one free base non-solvate (1.7 g) as crystals. ]H NMR (500 MHz, DMSO-d6) δ 1.32-1.51 (m, 1H), 1.53-1.83 (m, 4H), 1.97-2.20 (m, 1H), 3.11 (s, 3H), 4.49-4.60 (m, 1H), 4.60-4.69 (m, 1H), 5.13-5.37 (m, 2H), 6.70-6.90 (m, 3H), 7.04-7.31 (m, 5H), 7.82-7.93 (m, 1H), 7.93-8.12 (m, 3H), 8.67 (s, 1H). The mixture of (6a/?,9a5′)-3-chloro-2-(4-(6-fluoropyridin-2-yl)benzyl)-5-methyl-5,6a,7,8,9,9a-hexahydrocyclopenta[4,5]imidazo[l,2-fl]pyrazolo[4,3-e]pyrimidin-4(2H)-one (25 g), K2C03 (15.4 g), Pd(OAc)2 (125 mg), Xantphos (321 mg), aniline (7.6 mL), DMAc (6.25 mL) and xylene (125 mL) is stirred at 125°C for 6.5 h under nitrogen atmosphere. After addition of water (125 mL) and DMAc (50 mL), the organic layer is separated. The organic layer is washed with the mixture of DMAc (50 mL) and water (125 mL) twice. The organic layer is extracted with the mixture of DMAc (50 mL) and 0.5N HCl (125 mL). The organic layer is extracted with the mixture of DMAc (50 mL) and 0.5N HCl (62.5 mL). After addition of DMAc (50 mL), xylene (125 mL) and 25 wt % aqueous NH3 solution (25 mL) to the combined aqueous layer, the organic layer is separated. The aqueous layer is extracted with xylene (62.5 mL). The combined organic layer is washed with the mixture of DMAc (50 mL) and water (125 mL), the mixture of DMAc (50 mL) and 2.5 wt % aqueous 1,2-cyclohexanediamine solution (125 mL) twice and the mixture of DMAc (50 mL) and water (125 mL) successively. After treatment with active charcoal (1.25 g), the organic layer is concentrated to 75 mL. After addition of EtOH (125 mL), the mixture is concentrated to 75 mL. After addition of EtOH (125 mL), the mixture is concentrated to 75 mL. After addition of EtOH (125 mL), n-heptane (250 mL) is added at 70°C. After addition of seed crystals of (6a/?,9a5′)-5,6a,7,8,9,9a-hexahydro-5-methyl-3-(phenylamino)-2-((4-(6-fluoropyridin-2-yl)phenyl)methyl)-cyclopent[4,5]imidazo[l,2-fl]pyrazolo[4,3-e]pyrimidin-4(2H)-one non-solvate, the mixture is cooled to room temperature and stirred at room temperature. The crystals are isolated by filtration and dried to give (ea^^a^-S^a ^^^a-hexahydro-S-methyl-3-(phenylamino)-2-((4-(6-fluoropyridin-2-yl)phenyl)methyl)-cyclopent[4,5]imidazo-[l,2-fl]pyrazolo[4,3-e]pyrimidin-4(2H)-one free base non-solvate (23.8 g) as crystals. Crystals of (6a«,9a5′)-5,6a,7,8,9,9a-hexahydro-5-methyl-3-(phenylamino)-2-((4-(6-fluoropyridin-2-yl)phenyl)methyl)-cyclopent[4,5]imidazo[l,2-fl]pyrazolo[4,3-e]pyrimidin-4(2H)-one free base non-solvate (20 g) are dissolved in acetonitrile (60 mL) at 50°C. After addition of the active charcoal (1 g), the mixture is stirred at same temperature for 0.5 h. The active charcoal is removed by filtration and washed with acetonitrile (40 mL). The filtrate and the washing are combined and warmed to 50°C. A solution of 85 wt. % phosphoric acid (2.64 mL) in acetonitrile (100 mL) is added. After addition of water (20 mL), the mixture is stirred at 50°C for lh. The crystals are isolated by filtration, washed with acetonitrile (60 mL x 3) and dried to give (6a/?,9a5′)-5,6a,7,8,9,9a-hexahydro-5-methyl-3-(phenylamino)-2-((4-(6-fluoropyridin-2-yl)phenyl)methyl)-cyclopent[4,5]imidazo[l,2-fl]pyrazolo[4,3-e]pyrimidin-4(2H)-one mono-phosphate salt (20.5 g). Crystals of (6a«,9a5′)-5,6a,7,8,9,9a-hexahydro-5-methyl-3-(phenylamino)-2-((4-(6-fluoropyridin-2-yl)phenyl)methyl)-cyclopent[4,5]imidazo[l,2-fl]pyrazolo[4,3-e]pyrimidin-4(2H)-one free base mono-ethanol solvate (4 g) are dissolved in acetonitrile (12 mL) at 50°C. After addition of active charcoal (0.2 g), the mixture is stirred at same temperature for 0.5 h. Active charcoal is removed by filtration and washed with acetonitrile (8 mL). The filtrate and the washing are combined and warmed to 50°C. A solution of 85 wt. % phosphoric acid (0.528 mL) in acetonitrile (20 mL) is added. After addition of water (4 mL), the mixture is stirred at 50°C for lh. The crystals are isolated by filtration, washed with acetonitrile (12 mL x 3) and dried to give (6a/?,9a5′)-5,6a,7,8,9,9a-hexahydro-5-methyl-3-(phenylamino)-2-((4-(6-fluoropyridin-2-yl)phenyl)methyl)-cyclopent[4,5]imidazo[l,2-fl]pyrazolo[4,3-e]pyrimidin-4(2H)-one mono-phosphate salt (4.01 g). Crystals of (6a«,9a5′)-5,6a,7,8,9,9a-Hexahydro-5-methyl-3-(phenylamino)-2-((4-(6-fluoropyridin-2-yl)phenyl)methyl)-cyclopent[4,5]imidazo[l,2-fl]pyrazolo[4,3-e]pyrimidin-4(2H)-one free base non-solvate (20 g) are dissolved in acetone (60 mL) at 32°C. After addition of active charcoal (1 g), the mixture is stirred at same temperature for 0.5 h. Active charcoal is removed by filtration and washed with acetone (40 mL). The filtrate and the washing are combined and warmed to 39°C. A solution of 85 wt. % phosphoric acid (2.64 mL) in acetone (100 mL) is added. After addition of water (20 mL), the mixture is stirred at 40°C for lh. The crystals are isolated by filtration, washed with acetone (60 mL x 3) and dried to give (6a/?,9a5′)-5,6a,7,8,9,9a-hexahydro-5-methyl-3-(phenylamino)-2-((4-(6-fluoropyridin-2-yl)phenyl)methyl)-cyclopent[4,5]imidazo[l,2-fl]pyrazolo[4,3-e]pyrimidin-4(2H)-one mono-phosphate salt (22.86 g). Crystals of (6a«,9a5′)-5,6a,7,8,9,9a-hexahydro-5-methyl-3-(phenylamino)-2-((4-(6-fluoropyridin-2-yl)phenyl)methyl)-cyclopent[4,5]imidazo[l,2-fl]pyrazolo[4,3-e]pyrimidin-4(2H)-one free base mono-ethanol solvate (20 g) are dissolved in acetone (60 mL) at 38°C. After addition of active charcoal (1 g), the mixture is stirred at same temperature for 0.5 h. Active charcoal is removed by filtration and washed with acetone (40 mL). The filtrate and the washing are combined and warmed to 38°C. A solution of 85 wt. % phosphoric acid (2.64 mL) in acetone (100 mL) is added. After addition of water (20 mL), the mixture is stirred at 40°C for lh. The crystals are isolated by filtration, washed with acetone (60 mL x 3) and dried to give (6a/?,9a5′)-5,6a,7,8,9,9a-hexahydro-5-methyl-3-(phenylamino)-2-((4-(6-fluoropyridin-2-yl)phenyl)methyl)-cyclopent[4,5]imidazo[l,2-fl]pyrazolo[4,3-e]pyrimidin-4(2H)-one mono-phosphate salt (23.2 g). 1H NMR (500 MHz, CDCl3) δ 7.89 (d, J = 8.3 Hz, 2H), 7.86–7.79 (m, 1H), 7.58 (dd, J = 7.6, 2.5 Hz, 1H), 7.35–7.26 (m, 2H), 7.15–7.08 (m, 1H), 7.05 (d, J = 8.3 Hz, 2H), 6.94 (d, J = 7.6 Hz, 2H), 6.90 (br, 1H), 6.86 (dd, J = 8.1, 3.0 Hz, 1H), 4.96 (s, 2H), 4.88–4.70 (m, 2H), 3.38 (s, 3H), 2.29 (dd, J = 13.0, 6.1 Hz, 1H), 2.15–1.96 (m, 1H), 1.90–1.71 (m, 3H), 1.65–1.52 (m, 1H). 13C NMR (126 MHz, CDCl3) δ 163.4 (d, JCF = 239 Hz), 159.7, 155.7 (d, JCF = 13 Hz), 153.0, 147.6, 144.1, 141.7 (d, JCF = 8 Hz), 140.5, 137.3, 137.1, 129.6, 127.8, 127.1, 124.1, 120.2, 117.3 (d, JCF = 4 Hz), 107.9 (d, JCF = 38 Hz), 89.5, 69.9, 62.6, 52.8, 35.4, 32.3, 28.5, 23.2. MS (ESI) m/z 508.3 [M + H]+. 1H NMR (500 MHz, DMSO-d6) δ 8.71 (br, 1H), 8.10–8.01 (m, 1H), 7.98 (d, J = 8.3 Hz, 2H), 7.89 (dd, J = 7.6, 2.6 Hz, 1H), 7.23 (d, J = 8.4 Hz, 2H), 7.16 (dd, J = 8.5, 7.3 Hz, 2H), 7.12 (dd, J = 8.1, 2.8 Hz, 1H), 6.86–6.81 (m, 1H), 6.80–6.76 (m, 2H), 5.34–5.19 (m, 2H), 4.77–4.64 (m, 1H), 4.62–4.53 (m, 1H), 3.12 (s, 3H), 2.11 (dd, J = 13.4, 5.7 Hz, 1H), 1.81–1.57 (m, 4H), 1.54–1.41 (m, 1H). 13C NMR (126 MHz, CDCl3) δ 162.6 (d, JCF = 236 Hz), 155.9, 154.4 (d, JCF= 13 Hz), 152.4, 146.6, 143.0 (d, JCF = 8 Hz), 142.5, 141.8, 138.1, 136.0, 128.7, 127.5, 126.7, 120.4, 117.7 (d, JCF = 4 Hz), 116.0, 108.1 (d, JCF = 37 Hz), 90.3, 66.3, 62.4, 50.6, 34.2, 31.2, 28.5, 22.5. HRMS (ESI) m/z calcd for C29H27N7OF [M (free base)+H]+, 508.2261; found, 508.2272. HPLC purity, 100.0%; retention time, 13.0 min. The synthetic methods disclosed in WO 2009/075784 and WO 2013/192556 are particularly applicable, as they include the methods to prepare the compound of Formula I-B. Those skilled in the art will readily see how those methods are applicable to the synthesis of the compounds of the present invention. To a solution of (6a/?,9a5′)-5,6a,7,8,9,9a-hexahydro-3-chloro-5-methyl-2-(4-(6-fluoropyridin-2-yl)-benzyl)-cyclopent[4,5]irnidazo[l,2-fl]pyrazolo[4,3-e]pyrimidin-4(2H)-one (200 mg, 0.444 mmol) and 2,3,4,5,6-pentadeuteroaniline (162 μΐ,, 1.8 mmol) in anhydrous 2-methyltetrahydrofuran (3 mL) is added LiHMDS (1.0 M in THF, 0.89 mL) dropwise at room temperature under argon atmosphere. The reaction mixture is gradually heated to 75 °C over a period of 90 min, and then heated at 75 °C for an hour. The mixture is cooled with an ice bath and then quenched by adding 0.2 mL of water. After solvent evaporation, the residue is dissolved in DMF and then filter with a 0.45 m microfilter. The collected filtrated is purified with a semi-preparative HPLC system using a gradient of 0 – 70% acetonitrile in water containing 0.1% formic acid over 16 min to give (6a/?,9a5′)-5-methyl-3-(2,3,4,5,6-pentadeuterophenylamino)-2-(4-(6-fluoropyridin-2-yl)-benzyl)-5,6fl,7,8,9,9fl-hexahydrocyclopent[4,5]imidazo[l,2-a]pyrazolo[4,3-e]pyrimidin-4(2H)-one as a formate salt, which is dissolved in ethyl acetate, basified with 12.5 mL of 5% sodium carbonate, and then extracted with ethyl acetate three times. The combined organic phase is evaporated to dryness. The residue is dissolved in 4.5 mL of THF and then filter through a 0.45 m microfilter. The filtrate is evaporated to dryness and further dried under vacuum to give (6a/?,9a5′)-5-methyl-3-(2,3,4,5,6-pentadeuterophenylamino)-2-(4-(6-fluoropyridin-2-yl)-benzyl)-5,6fl,7,8,9,9fl-hexahydrocyclopent[4,5]imidazo[l,2-a]pyrazolo[4,3-e]pyrimidin-4(2H)-one as a white solid (185.8 mg, 81.6% yield). ¾ NMR (400 MHz, CDCb) δ 7.88 (d, / = 8.4 Hz, 2H), 7.88 – 7.77 (m, 1H), 7.58 (dd, J = 7.5, 2.4 Hz, 1H), 7.05 (d, J = 8.3 Hz, 2H), 6.90 – 6.80 (m, 2H), 4.94 (s, 2H), 4.82 – 4.68 (m, 2H), 3.34 (s, 3H), 2.27 (dd, / = 12.4, 5.7 Hz, 1H), 2.09 – 1.91 (m, 1H), 1.91 – 1.67 (m, 3H), 1.67 – 1.49 (m, 1H).MS (ESI) m/z 513.3 [M+H]+. NEW YORK and OSAKA, Japan, Nov. 3, 2014 (GLOBE NEWSWIRE) — Intra-Cellular Therapies, Inc. (Nasdaq:ITCI) and Takeda Pharmaceutical Company Limited announced today that they have entered into an agreement to mutually terminate the February 2011 license agreement covering Intra-Cellular Therapies’ proprietary compound ITI-214 and related PDE1 inhibitors and to return the rights for these compounds to Intra-Cellular Therapies. Under the terms of the agreement, Intra-Cellular Therapies has regained all worldwide development and commercialization rights for the compounds previously licensed to Takeda. Takeda will be responsible for transitioning the compounds back toIntra-Cellular Therapies and will not participate in future development or commercialization activities. After transition of the program, Intra-Cellular Therapies plans to continue the clinical development of PDE1 inhibitors for the treatment of central nervous system, cardiovascular and other disorders. Intra-Cellular Therapies will discuss the PDE1 program in its previously announced earnings call on Monday, November 3, 2014 at 8:30 a.m. Eastern Time. To participate in the conference call, please dial 844-835-6563 (U.S.) or 970-315-3916 (International) five to ten minutes prior to the start of the call. The participant passcode is 25568442. PDE1 inhibitors are unique, orally available, investigational drug candidates being developed for the treatment of cognitive impairments accompanying schizophrenia, Alzheimer’s disease and other neuropsychiatric disorders and neurological diseases and may also treat patients with Attention Deficit Hyperactivity Disorder and Parkinson’s disease. These compounds may also have the potential to improve motor dysfunction associated with these conditions and may also have the potential to treat patients with multiple sclerosis and other autoimmune diseases and pulmonary arterial hypertension. 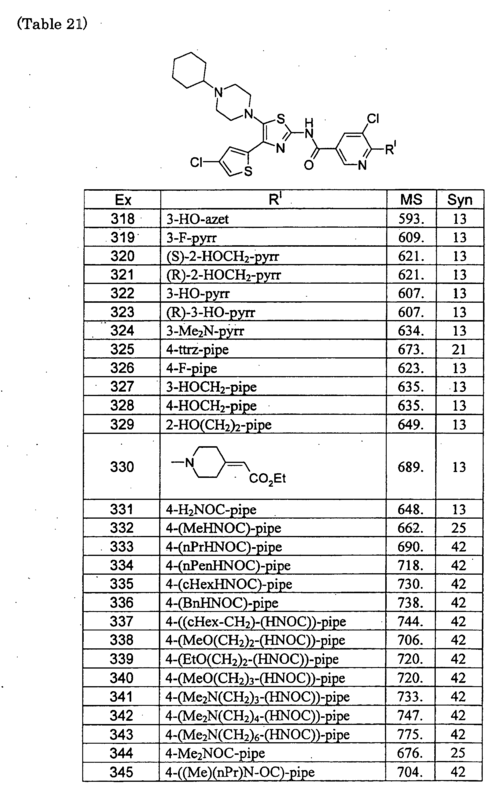 These compounds are very selective for the PDE1 subfamily relative to other PDE subfamilies. They have no known significant off target activities at other enzymes, receptors or ion channels. Intra-Cellular Therapies, Inc. (the “Company”) is developing novel drugs for the treatment of neuropsychiatric and neurodegenerative disease and other disorders of the central nervous system (“CNS”). The Company is developing its lead drug candidate, ITI-007, for the treatment of schizophrenia, behavioral disturbances in dementia, bipolar disorder and other neuropsychiatric and neurological disorders. The Company is also utilizing its phosphodiesterase platform and other proprietary chemistry platforms to develop drugs for the treatment of CNS disorders. By DR ANTHONY MELVIN CRASTO Ph.D in PHASE1, Uncategorized on March 11, 2016 .